At Swan Hill Rural City Council, it is recognised that being clear about the different roles of the various parts of our local government assists us in providing good governance. The Mayor is the leader of Swan Hill Rural City Council and as such is the leader of all Councillors. 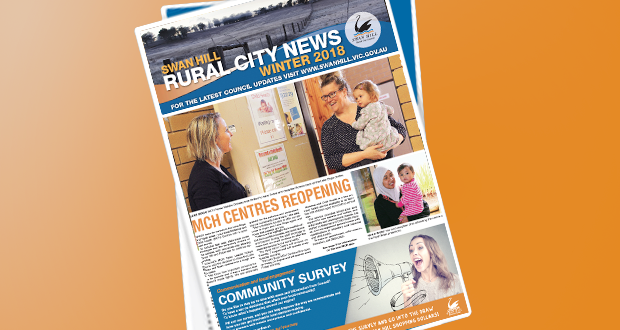 The Mayor has a key role to help all Councillors participate and work together in the interests of the Swan Hill Rural City Council’s community. Swan Hill Rural City Council has a Deputy Mayor in order to enhance the leadership provided by the Mayor and also to ensure that Swan Hill Rural City Council can be represented by its political leadership wherever this is necessary or desirable. The Deputy Mayor also assists the Mayor to facilitate the spirit of co-operation and inclusion between elected representatives. Councillors have important roles to play in helping to achieve good governance. At Swan Hill Rural City Council Councillors work together to achieve the best outcomes for the community. To work together effectively Councillors strive to find ways to meet the accountability they have to the constituents in their wards and their accountability to the municipality as a whole. There is a range of support for Councillors. This includes membership to organisations such as the Municipal Association of Victoria and administrative support from Council. Each Councillor is also supported financially including allowances and payment of expenses. Under the Local Government Act 1989 Councillors get an allowance to carry out their duties and responsibilities. The Minister for Local Government sets out the scale of allowances. Council decides what it may be paid within this scale. There is a separate scale for large, small and medium-sized Councils. A separate scale of allowances is decided for Mayors on the same basis. A Mayor can only receive the Mayoral allowance (not a Councillor allowance plus a Mayoral allowance). After an election, Council must decide and set allowances for the term of Council. The figures include changes to the Superannuation Guarantee contribution from 9% to 9.25% from 1 July 2013. A further 2.5% increase on the above figures has been budgeted from November. Increases are usually adjusted in October/November after a Gazetted notice is published by the Department of Planning and Community Development. What type of expenses will be reimbursed to Councillors. Under what circumstances Councillors can claim reimbursement.